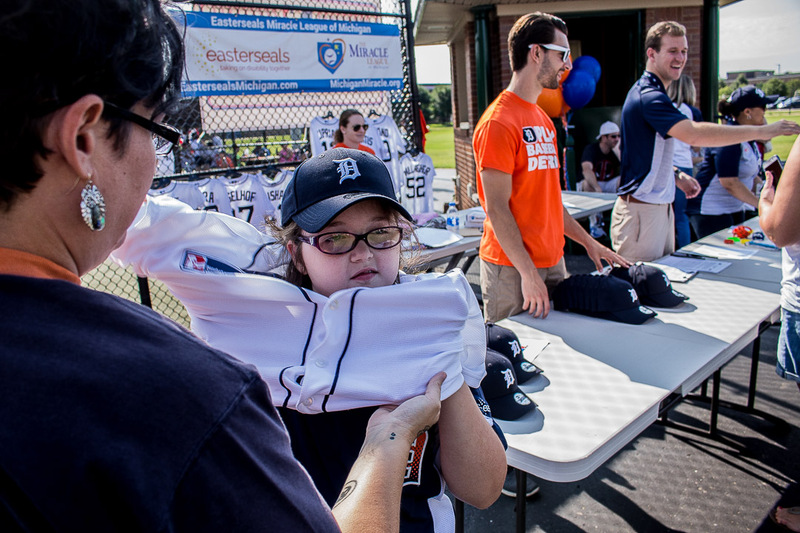 At Easterseals Miracle League of Michigan games, there are no outs and every kid wins. A place to feel secure, to be yourself, to have fun and to be included — all children need a place like this. 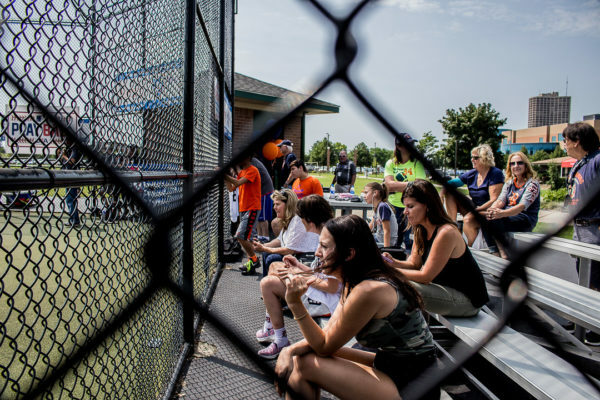 For those with disabilities, this type of environment may be even harder to find, which is why 14 years ago Steve Peck started the Easterseals Miracle League of Michigan, a baseball league in Southfield for those with special needs. 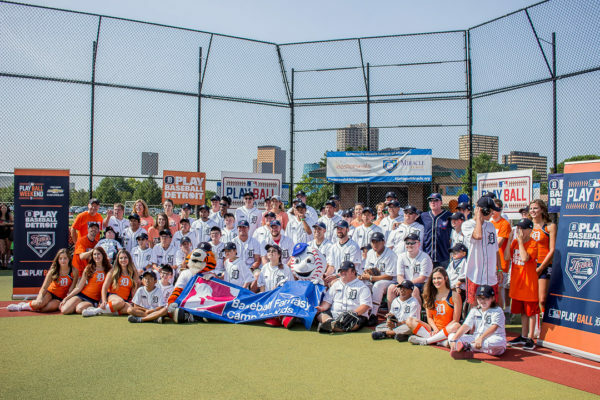 “Every kid deserves the opportunity to do what we take for granted and that’s play baseball,” says director Peck, of Southfield. 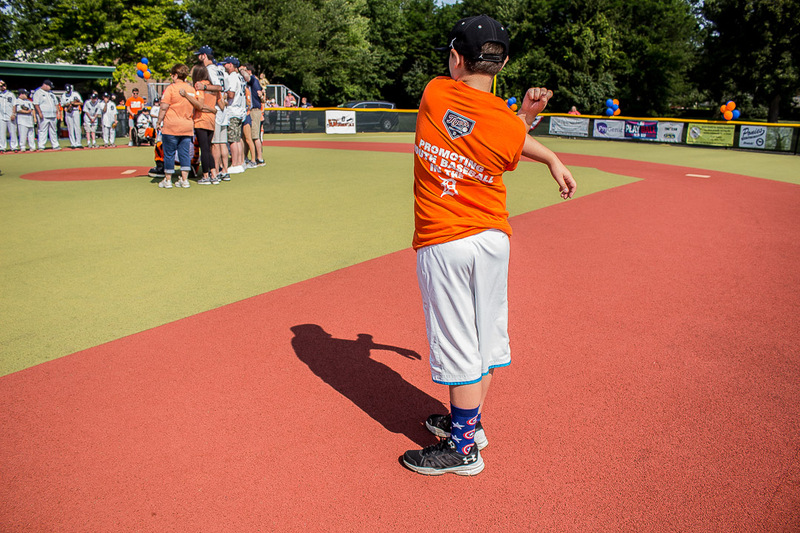 Miracle League uses plastic bats and safety baseballs to create an environment where everyone can play. 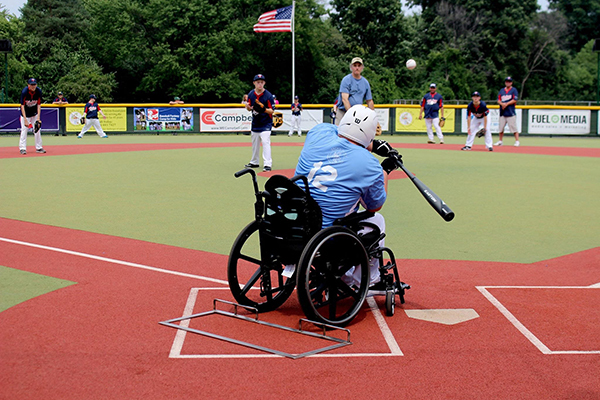 The field is made of synthetic rubber to provide extra cushion and the bases are flat, making them wheelchair and walker accessible. There are no outs. Everyone wins, as no score is kept, and each player gets to bat and score a run in both of the game’s two innings. 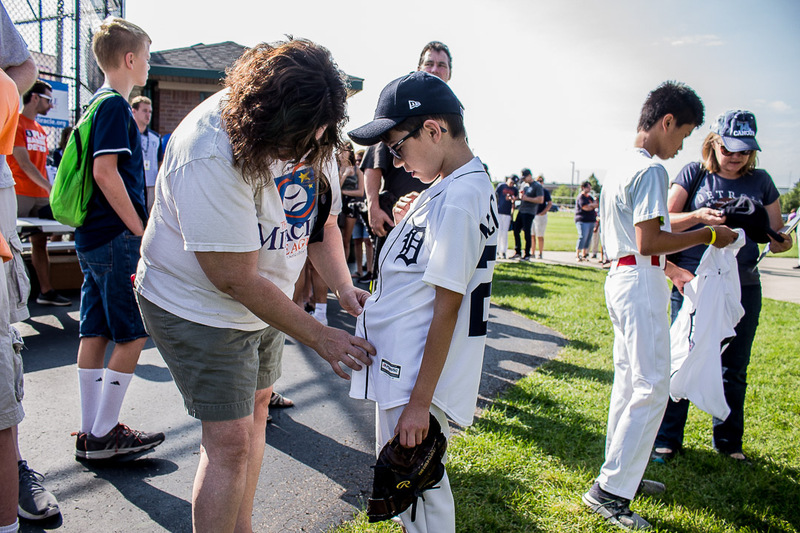 It’s more than a baseball game — it’s a community. 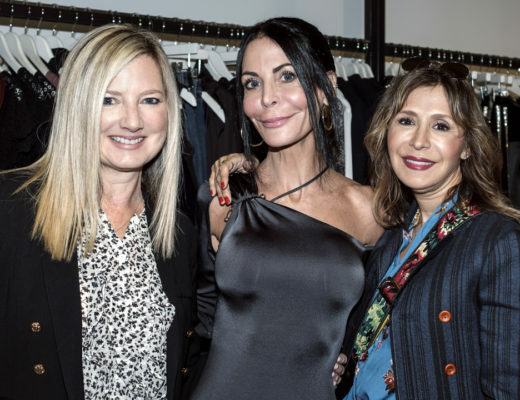 “The families all know each other; it’s a safe, fun place,” Peck says. One of those families is the Peguese family of Southfield. 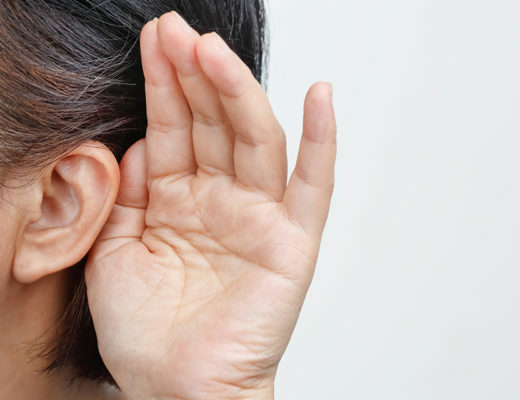 Andrea Peguese’s 21-year-old twin sons, Evan and Miles, were born prematurely at 26 weeks, leaving them both with mild cerebral palsy and Evan with mild cognitive impairment. Peguese, 57, works hard to focus on her sons’ abilities rather than their disabilities. That’s why, eight years ago, she signed them up for Miracle League so they could play baseball like the other kids. They’re both still participating today. She says her boys find “so much joy” in playing, and it’s been a true community experience. 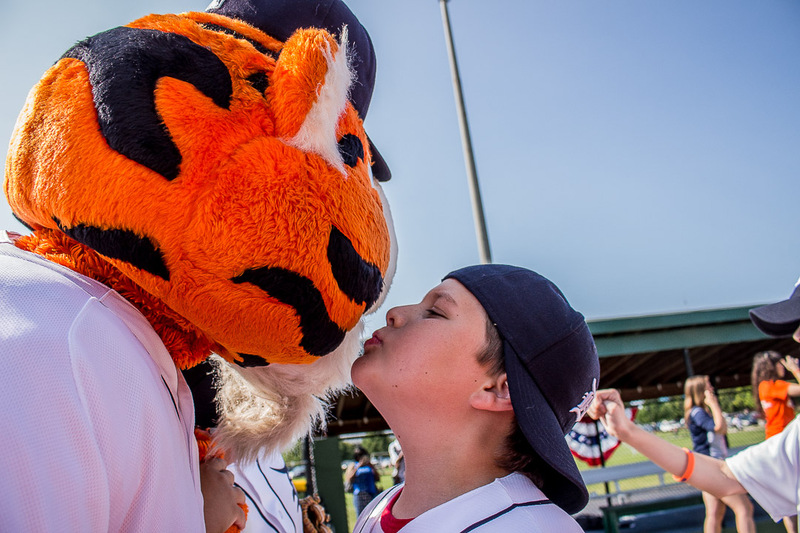 Detroit Tiger Alex Wilson helps up a player during the Tigers Fantasy Camp at the Easterseals Miracle League of Michigan ballpark in Southfield. 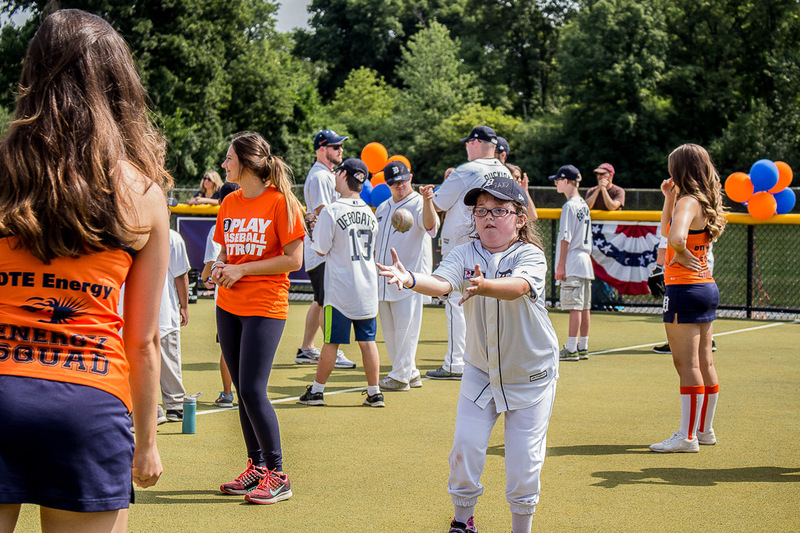 Miracle League also fosters friendship, promotes exercise and instills confidence. And she did. Peck showed her where to hold the bat and counted out loud so she knew when to swing as the ball crossed the plate. She’s hit that way ever since. 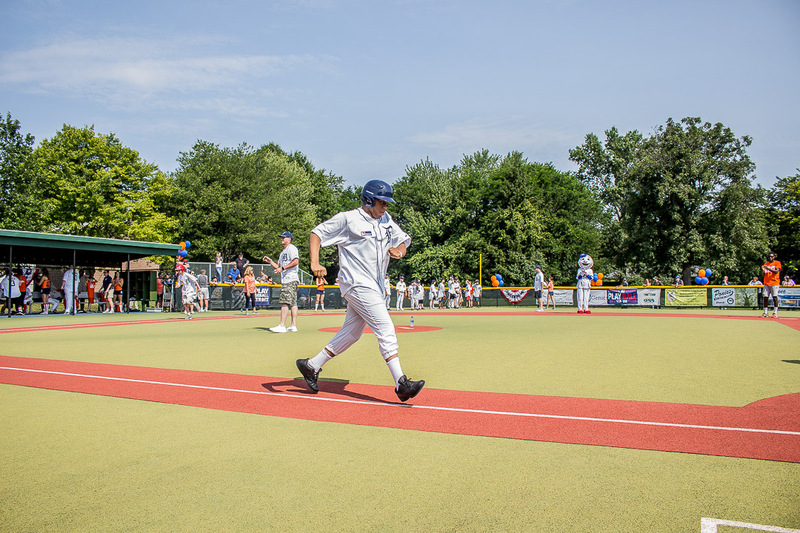 Miracle League depends on volunteers called “buddies” who partner with players during games to assist them in hitting, running and fielding and to keep them engaged. Buddies range from students performing community service hours to groups like youth sports teams and local businesses. 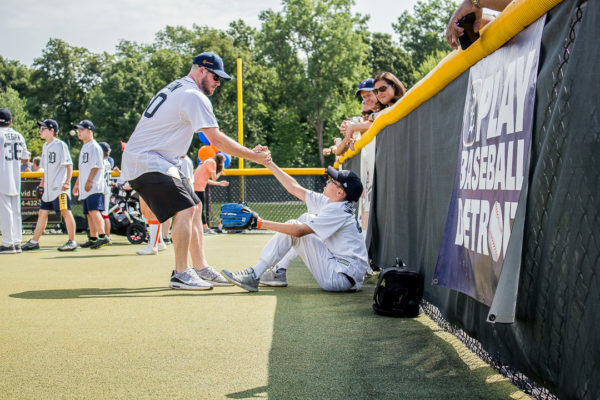 Detroit Tigers players even get involved and host a Fantasy Camp for the kids. 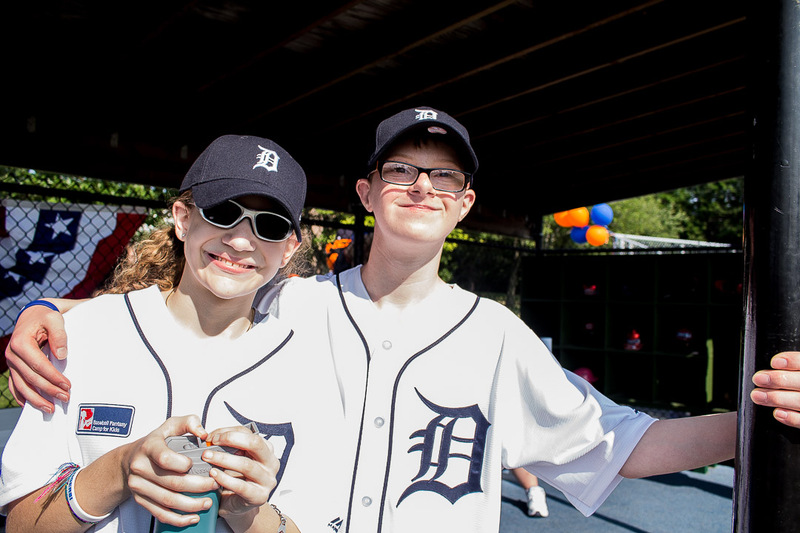 Players pose for a photo during the Tigers Fantasy Camp at the Easterseals Miracle League of Michigan ballpark in Southfield in August. 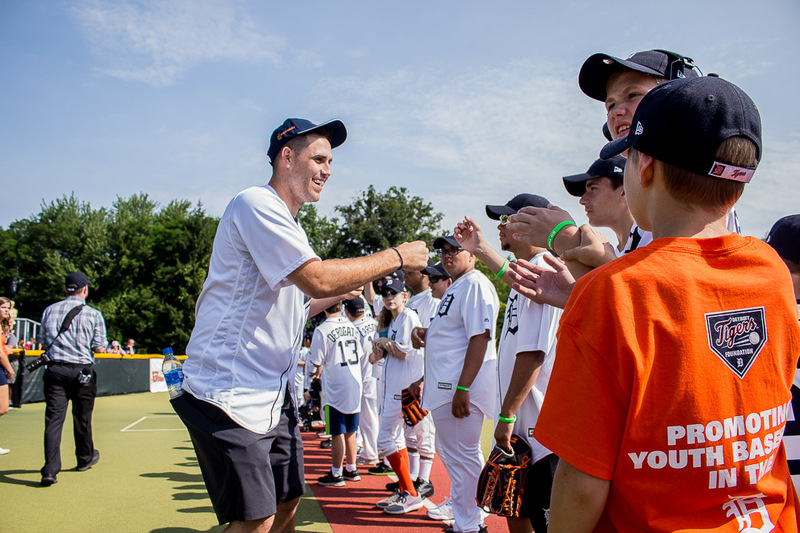 Volunteering is a great opportunity for community members, and it’s crucial for players to socialize outside of their homes and build friendships. 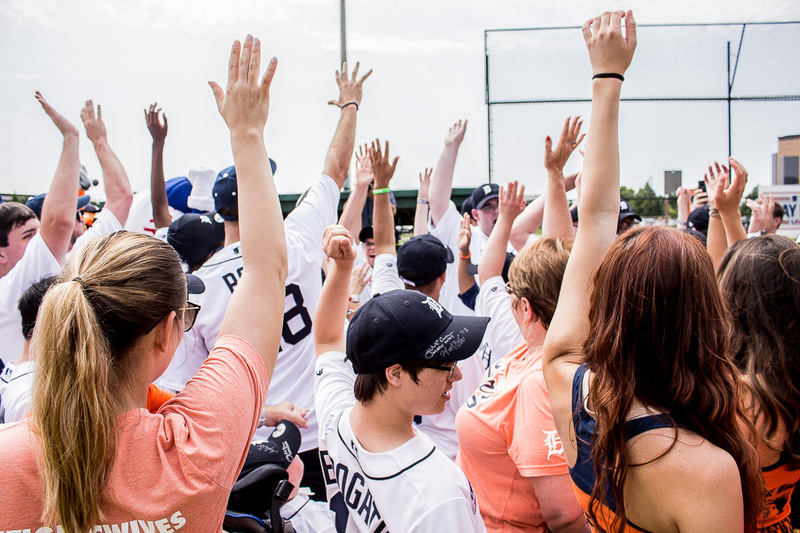 Players sit in the dugout during the Tigers Fantasy Camp at the Easterseals Miracle League of Michigan ballpark in Southfield. 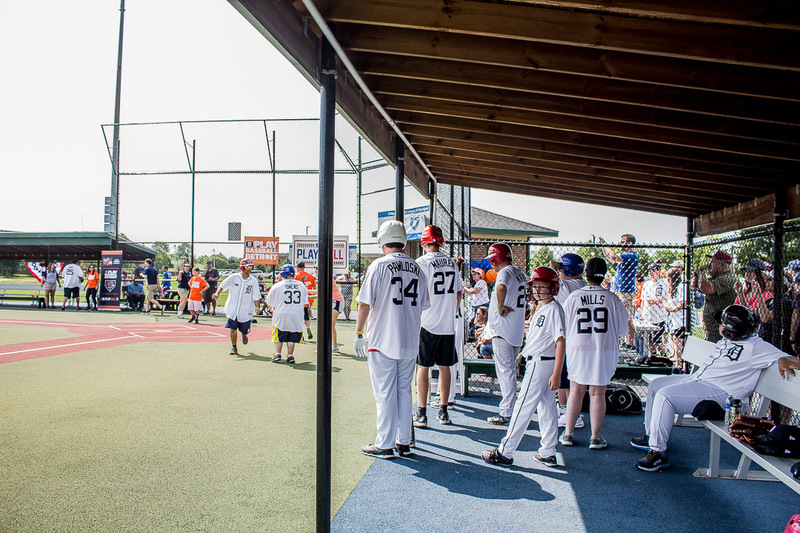 The minimum age for players to participate is 4 years old, and there is no age limit. 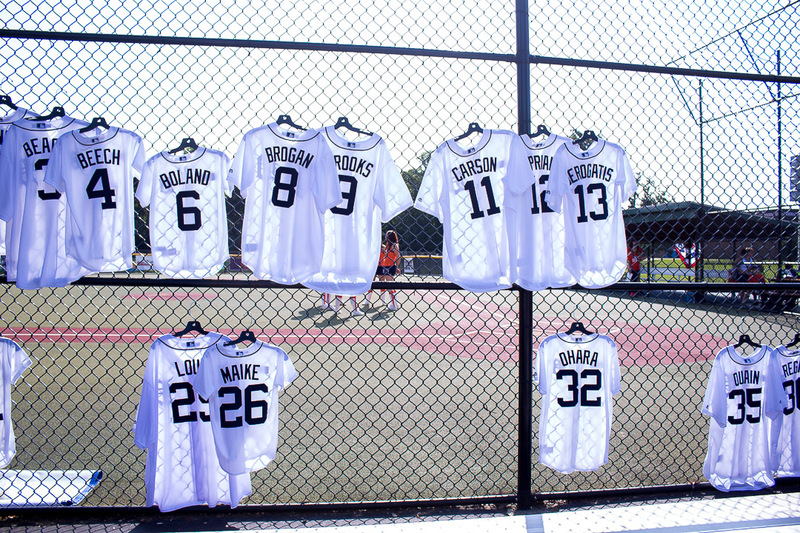 Cost is $75 and includes a Major League Baseball hat, jersey, trophy and party. Parents are responsible for purchasing white baseball pants. 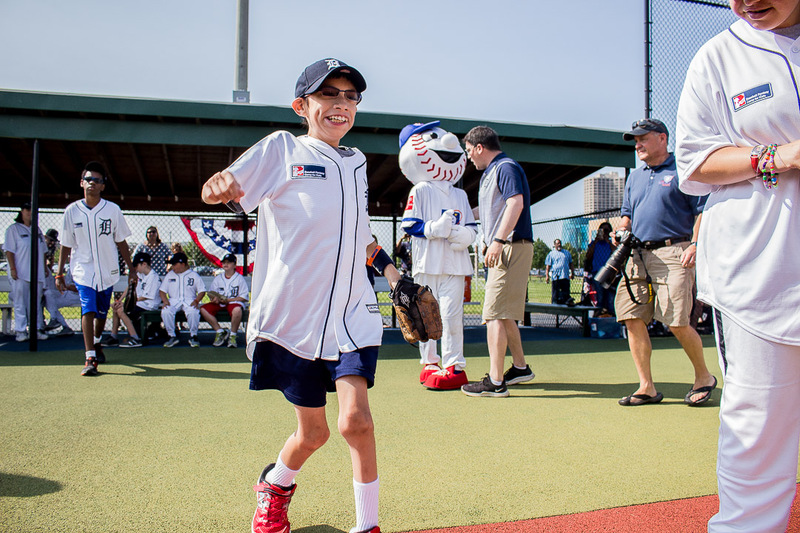 However, if a family can’t afford to pay, Miracle League will find the funds to allow the child to play. 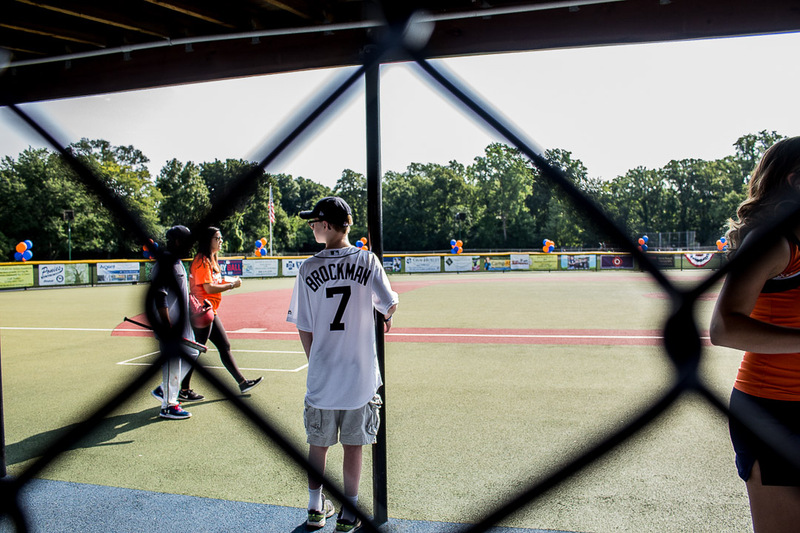 Not only does Miracle League normalize life for those with special needs, but it also does the same for their parents. 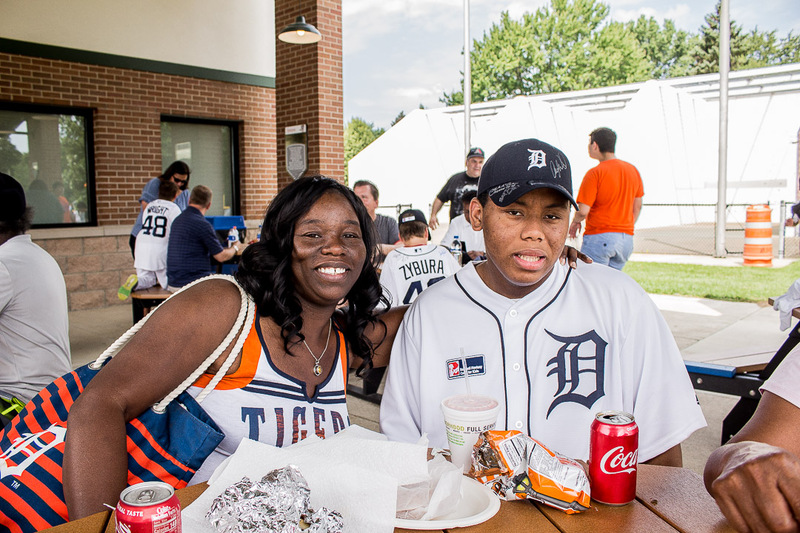 Families and friends watch from the sideline during the Tigers Fantasy Camp at the Easterseals Miracle League of Michigan ballpark. 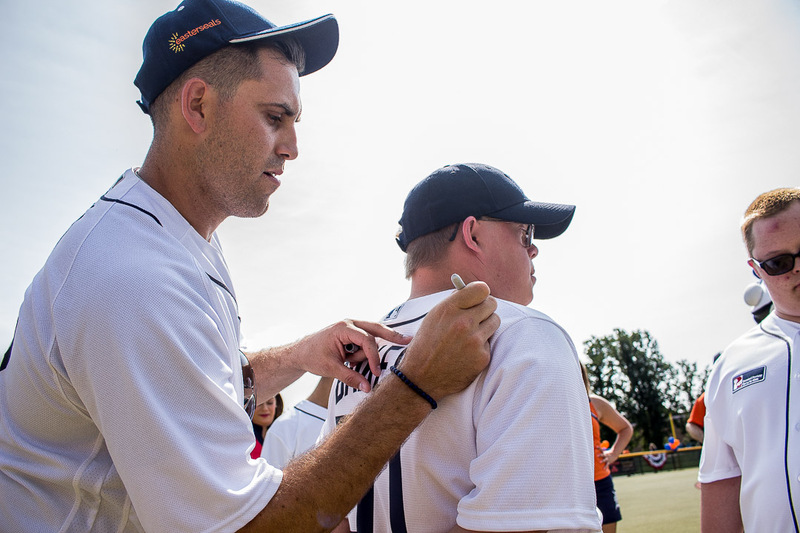 Parents can also coach, and some drive over an hour to make the dream of coaching their child’s baseball team a reality. 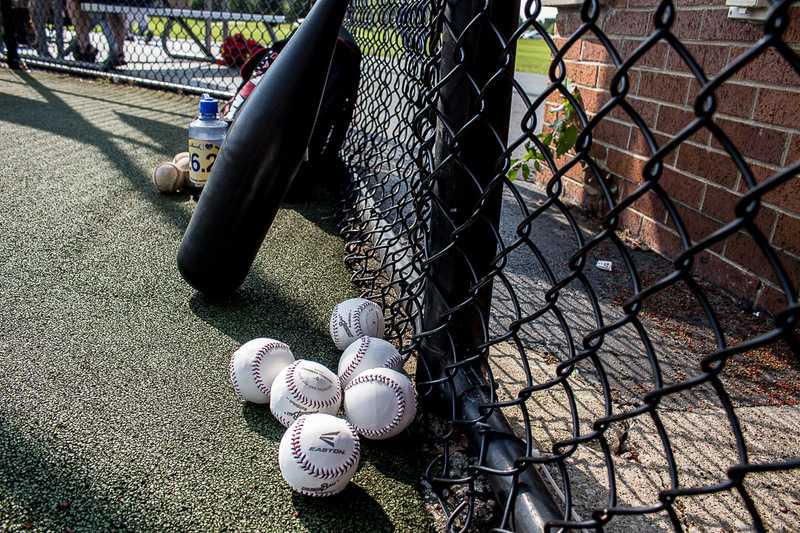 In addition to the standard, noncompetitive league, Peck created a competitive league for players ready for a more “real-life” baseball experience. In this case, there are outs, score is kept and metal bats are used. Remington Baker of Farmington Hills jumps in the air during the Tigers Fantasy Camp. 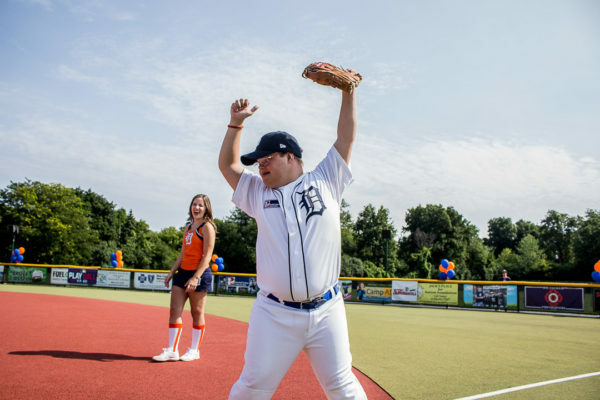 It was his first time chosen for the Miracle League, and he also plays for the Michigan Blue Jays. 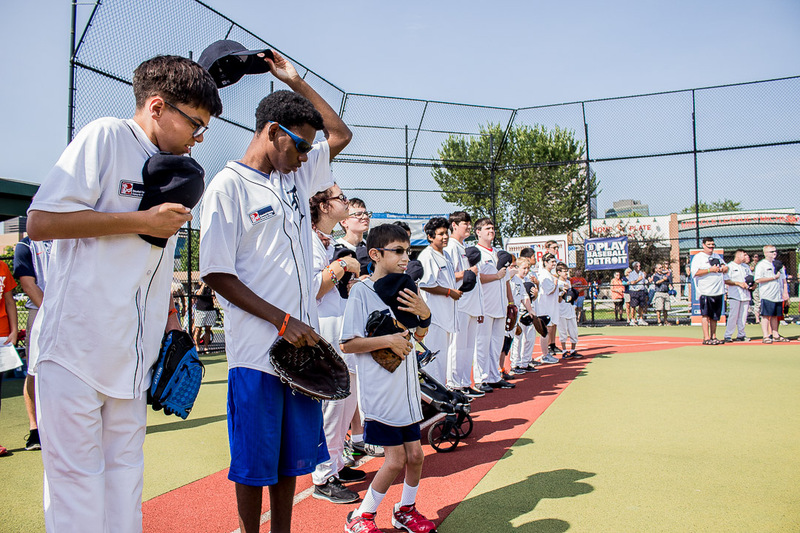 Since inception in 2004, Miracle League has grown from 40 players to 400, with a 120-game schedule from June to October. For the league to continue to operate and grow, the field must be rethreaded for use and safety. 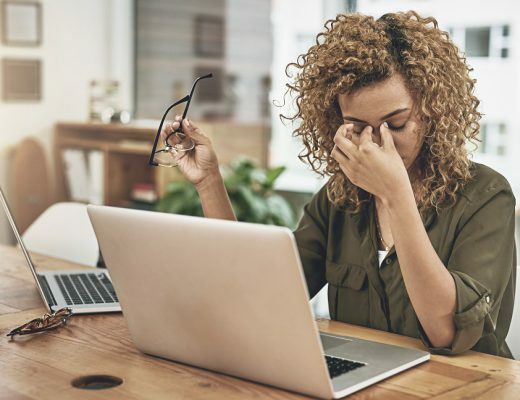 The cost of the update is $150,000. 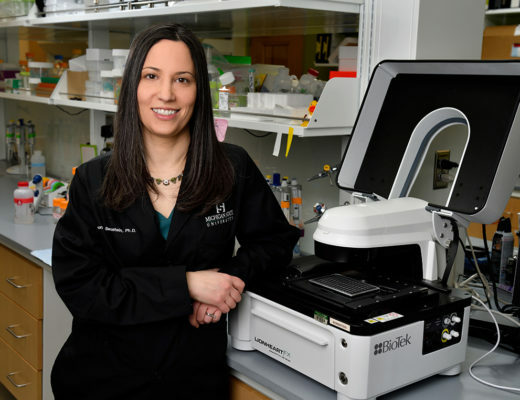 To donate, visit michiganmiracle.org/donate. See more photos in the photo gallery at the top.